Duncan joined the Board in June 2016 his background is in criminal justice. He is a retired Leicestershire Police Superintendent having served the communities of Leicester, Leicestershire and Rutland for over 28 years. 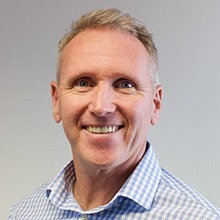 Duncan has extensive experience in change management and project delivery having led significant change projects, mergers, restructuring and modernisation of policing business both within Leicestershire and across the East Midlands Region. He co-ordinated the policing programme that delivered the safe passage of the Olympic Torch, the safety and security of Team GB and the support to the Olympics in London. Duncan is passionate in his support for childern and young people, troubled families and those groups at risk of re-offending in the commumity. He previously worked with partner agencies and key stakeholders to deliver a joined up approach to the identification and management of offenders across Leicester, Leicestershire and Rutland. He is looking forward to bringing his skills and knowledge onto the Board to help support, direct and promote VAL.